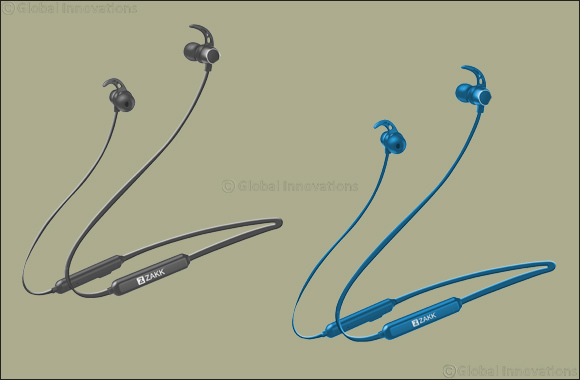 Dubai, UAE, May 31, 2018: Fitness enthusiasts can now find the most friendly set of headphones and earbuds to suit their physical activity and listening needs, thanks to improvements in Bluetooth connectivity and battery technology. ZAKK, a global lifestyle brand owned by Dubai-based Kamon International, launched ZAKK Flex wireless sports headphone designed for sports enthusiasts. The ZAKK brand encompasses more than 100 products - ranging from wearable devices such as smart watches, health bands and Bluetooth devices to headphones, earphones, speakers, projectors, virtual reality headsets, power banks and storage devices.